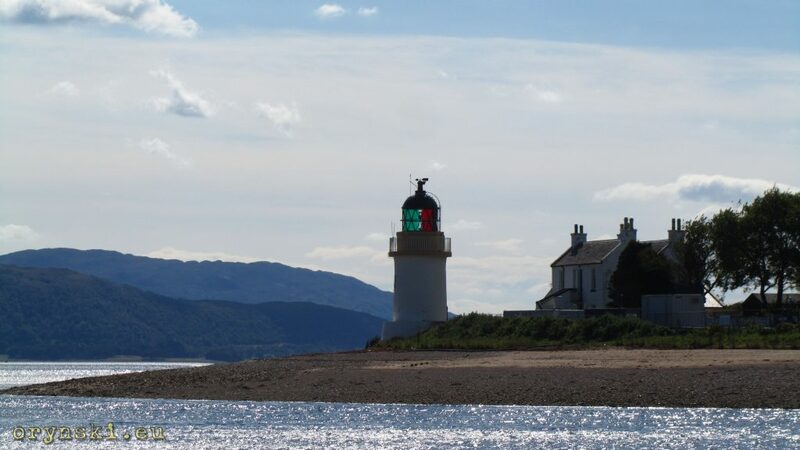 Although Scotland is a sparsely populated country for European standards, those who seek to enjoy it’s beauty on their own can find even those tourists that can be met at Loch Ness or on the route to Skye to be an annoying crowd. Some say that the true uninhabited Scottish mountains can be found only on far north. It is basically true, but not everyone has time and means to travel there – after all, the clue is in the name: far north is FAR and to get there is a whole expedition. Luckily fairly unpopulated areas can be found in Southern Highlands as well: just 3 hours drive from Glasgow, in Western Lochaber. It’s easy to get there: A82 takes us from Glasgow city centre through Dumbarton, then along Loch Lomond to Rannoch Moor, it crosses Glencoe and then, soon after the bridge taking us over Loch Leven to village of Onich. 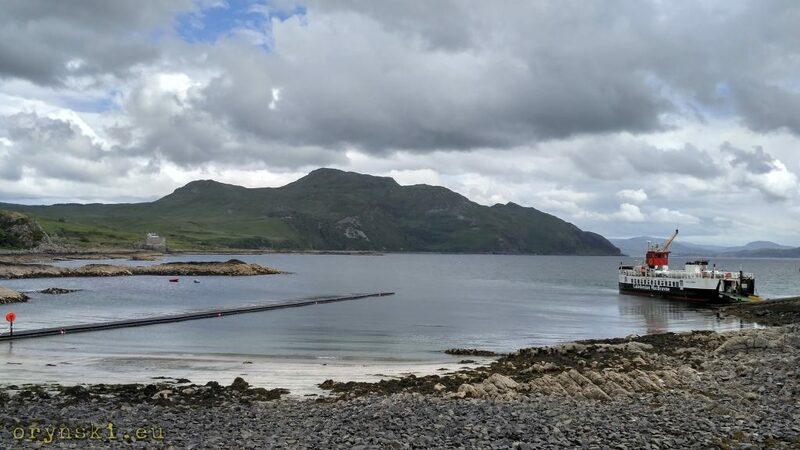 Soon after on the left there will be a small ferry, crossing the narrowest port of Loch Linhe: Corran Ferry. This is where we turn left. 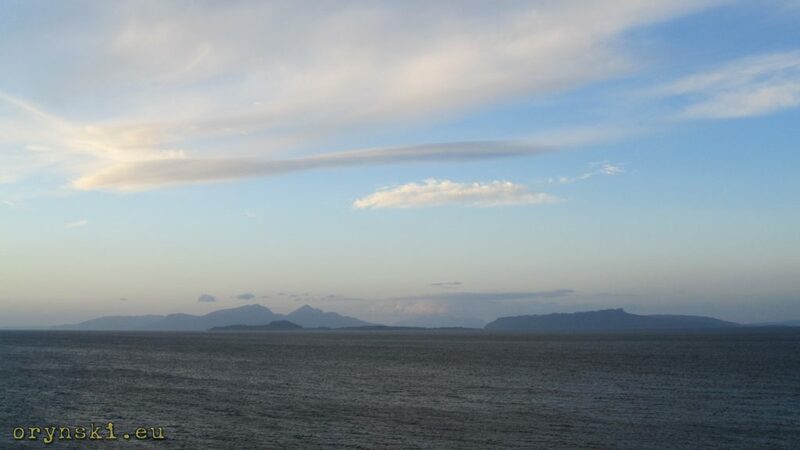 The ferry operates all year long, the crossing takes just a couple of minutes and the ferry goes every 20 minutes from early morning to slightly after 21:00 (on Sundays every 30 minutes). This short ferry ride takes us to another world. Noisy road full of trucks and campers stays on the other side of the water. Here our exploration of sparserly populated peninsula is to begin. As usual, those travelling with RHD cars are advised to travel in the direction of the clock, so the passenger is free to take pictures of stunning views over the water, that for most of the trip will be located on our left. Therefore on leaving the ferry let’s take the road left, as propably most of those, who shared a ferry ride with us. 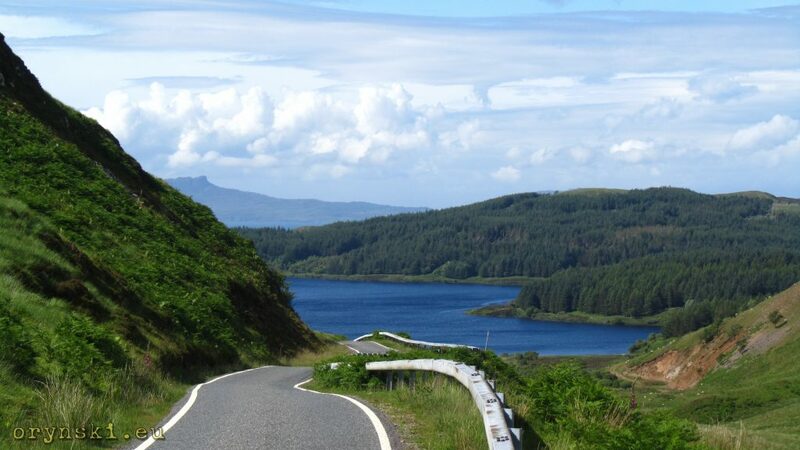 The road to the left leads not only to the biggest place around – a village of Strontian – but also to another ferry crossing, that takes vehicles and pedestrians to Isle of Mull. Few miles down the road, that so far was going along the water, turns inland. But a narrow strip of tarmac branches left, and, as it is often the case, it is worth taking the back road. It is B8043, that between Kilmalieu and Loch a’Choirse in a spectacular way writhes on the edge between rocks and water, while in the distance the island of Lismore emerges from Loch Linhe. 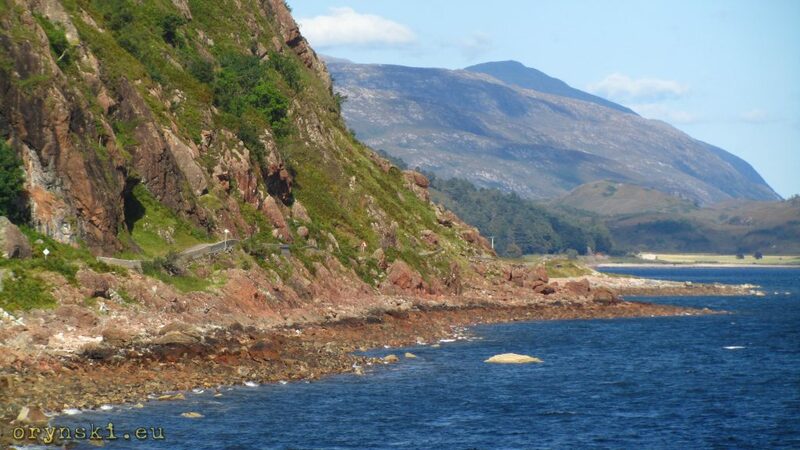 But apart of those fragments when road takes us into the narrow parapet squeezed between the rock and water, on that stretch of road there is plenty of grass marches and peebly beaches, offering plenty of places for waterside wild camping or picnic. Few miles later this road also turns inland and after a short drive brings us to the junction with A884, leading to Lochaline. 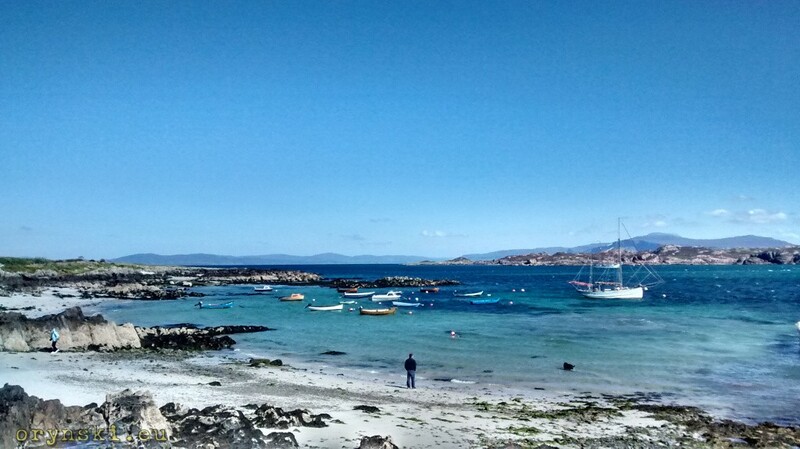 From there, one can take a ferry to Mull, from there we can also go for a long drive to a place considered to be one of the remotest places in Scotland: Drimnin. It is likely that you will meet more ferries crossing the sound of Mull than actual cars sharing the road with you. At the end of this route, apart from few houses and occassionaly open shop and post office the only other attraction is a small jetty, from where one can catch a small passenger ferry to Tobermory, serving this place a couple times a week. But if even this place seems to be not desolate enough for you, not far from here you can visit a village of Aoineadh Mór, abandoned for nearly 200 years. In Lochaline itself you can see a small castle located on the small peninsula on the other side of the loch, or ancient christian gravestones exhibited in local church. A884 connects Lochaline with the head of the long fjord called Loch Sunart. If we go around, we’ll land in Strontian, one of the biggest places in the area. (Motorized can consider fuelling up here, as the gas station in Kilchoan at the end of Ardnamurchan peninsula is not always open, especially after the tourist season). From Strontian the road takes us further west along the bank of the fjord. In the village of Salen, located around a small bay, we can take left again to continue on the single track road winding along the frayed banks of Loch Sunart. A few small settlements are scattered along this road, so one can easily find a place to stay overnight – from luxury hotel, through B&B to camping – and visit a small whisky distillery. At a certain point the road will approach a sizable mountain. But this time the road, instead of trying to squeeze beteen the water and rocks, turns inland and climbs up, traversing a grassy slope in order to bypass the obstruction from the land side. But even despite being taking away from the sea, we can still enjoy beautiful views, especially after the road starts to wind down again near a small lake call Loch Mudle. From here an empty landscape opens up, where herds of deers and roes can be easily spotted. At one point the road solits again. 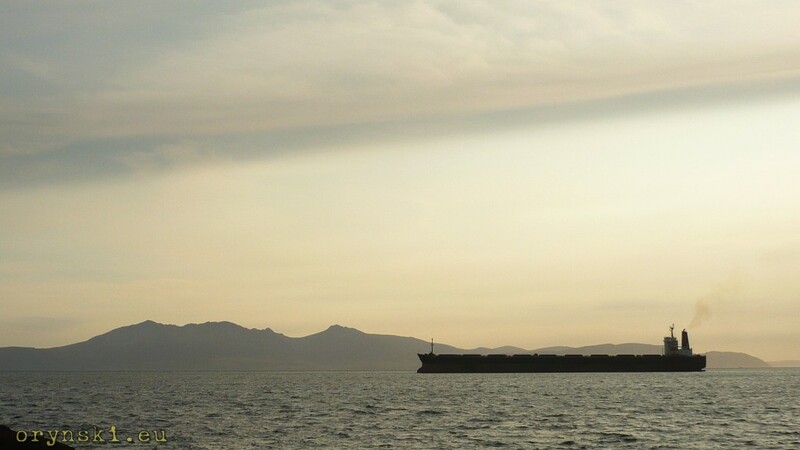 If we go right, we can reach the small settlements located at the northern side of the peninsula. 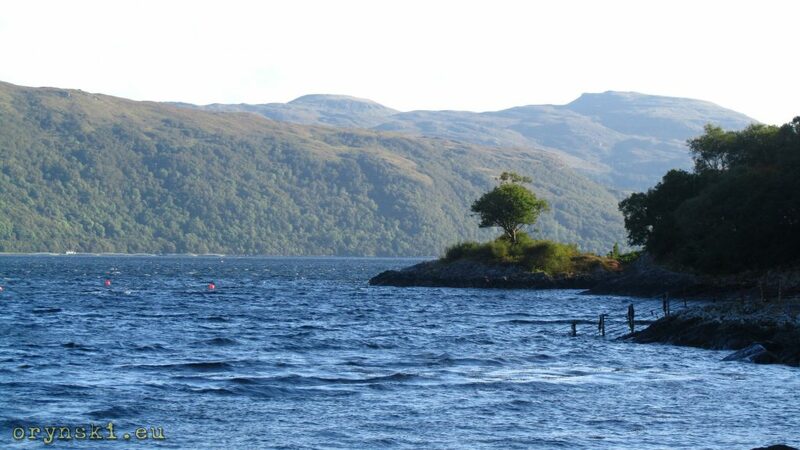 But it’s the left branch that will take us down to Loch Sunart again, where main attractions are located. First we will arrive in a small village of Kilchoan, that for local standards can be considered a significant location. There is a 13th century castle, a hotel that is opened all year round, less reliable shop with a gas station, school and even a community centre in which classes run by University of Highlands and Islands are held. 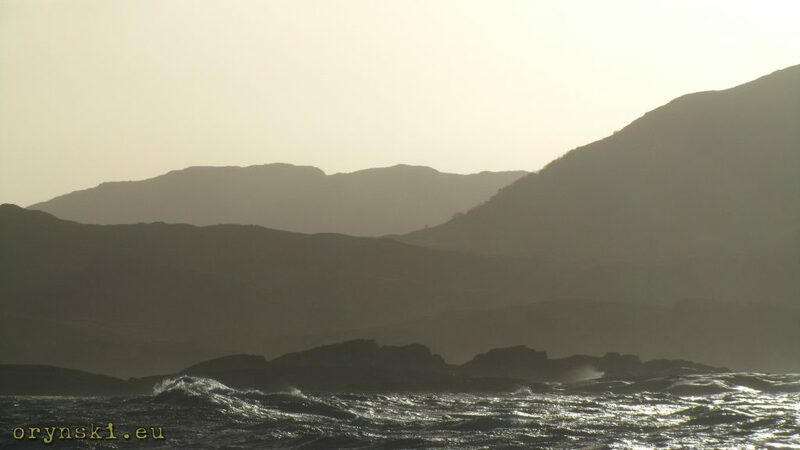 Kilchoan is also the most western point from where crossing from mainland to Mull is possible. This opens an opportunity to plan longer journey that would take us both to Mull and Ardnamurchan (which I highly recommend). The ferry crossing is also vital to the inhabitants of Ardnamurchan, as it makes possible to enjoy the joys of (relatively) big town – Tobermory. 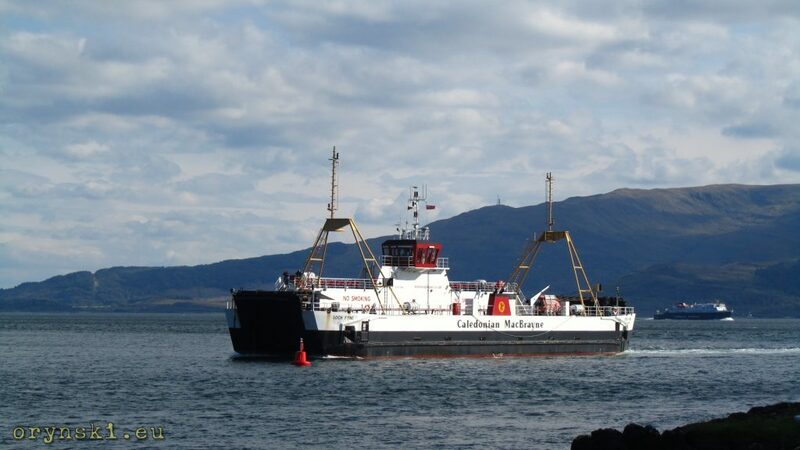 It is not an unusual thing for many Scots to take a ferry in order to go to the supermarket or use some other services, but ususally it is the other way round – islanders travel to mainland, not the other way round like here. Ferry in Kilchoan, Mingary Castle can be seen in the distance. 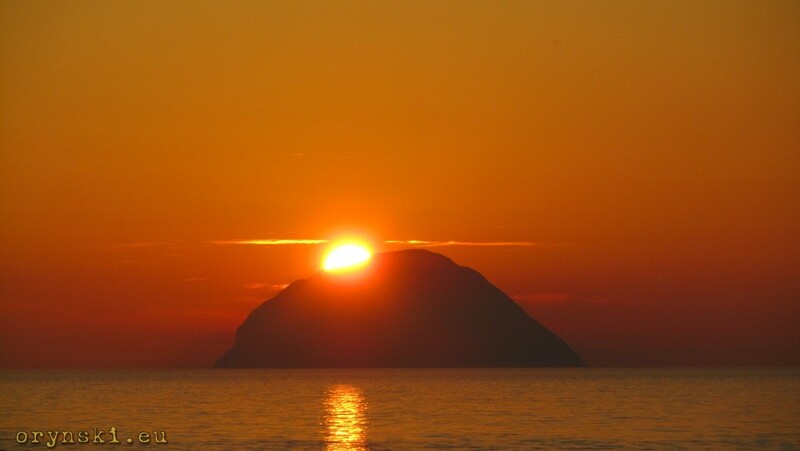 But Kilchoan is not everything that Ardnamurchan has to offer. 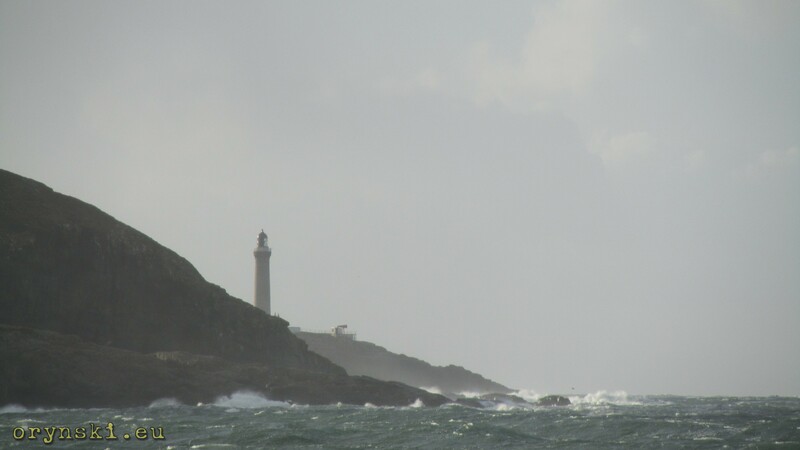 Almost at the most westernly point of UK mainland there is a spectacular lighthouse Ardnamurchan Point. On approach to it one can feel that the climate is changing – and it’s not just an illussion, as this place is known for it’s extreme weather. That makes a work of gardeners in nearby Sonachan even more worth of admiration and one can really appreciate vegetables they sell in their self-service stand on the roadside. Someone who’ll come here during a stormy weather (or even during one of those many days when while most of Ardnamurchan peninsula is sunny, grey clouds are still hovering over it’s tip) can experience something utterly different: a gloomy tower, standing on bare rock bashed by a raging sea would bring to mind rather one of the dreary towers from the books of J.R.R. Tolkien. 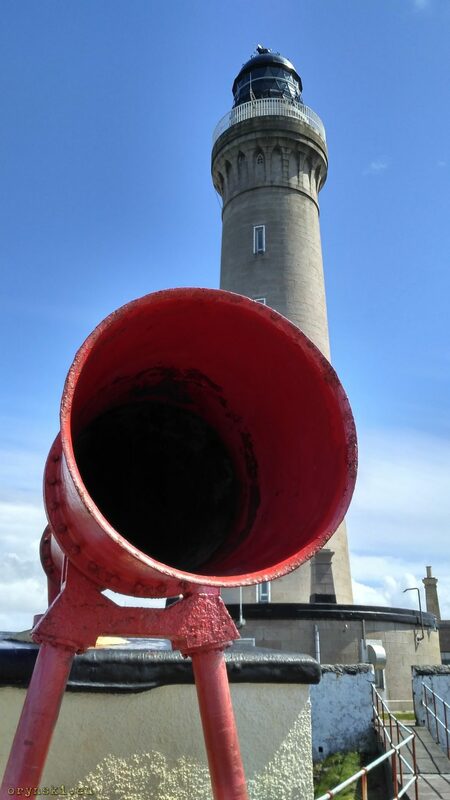 During the tourist season, the lighthouse is open to visitors. It is worth to climb up it’s 152 stairs and two ladders not only to see it’s lighting equipment located at the height of over 36 metres, but also to enjoy an amazing panorama from the gallery near it’s top. 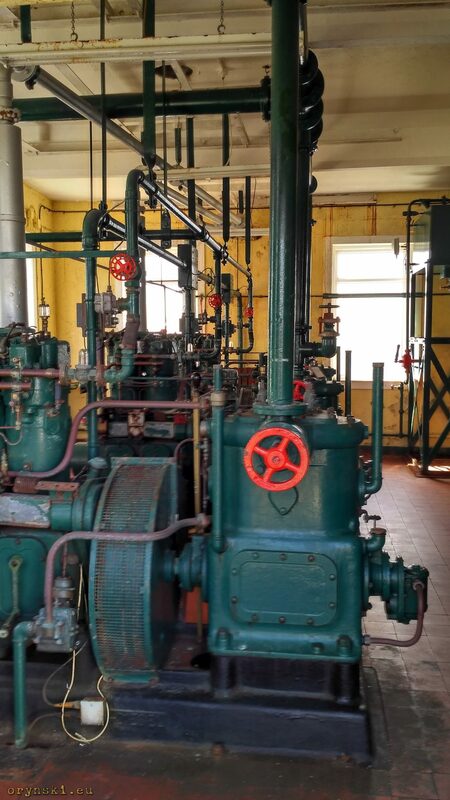 After (or before) climbing the tower itself, it is worth to visit an engine room, where, apart from a small exhibition, one can see it’s original power generators and compressor generating pressure to operate a fog horn located at the basis of the tower. Last but not least, there is a narrow path winding down the cliff leading to a small jetty which is in fact, just a piece of carved rock sticking into the raging see. Only when standing there, one can appreciate how brave were the man who dared to come to this place by sea. Since we are now virtually at the most western point of UK mainland, the only road back is East. Due to sparse road network, we will have to go back as far as to Salen. 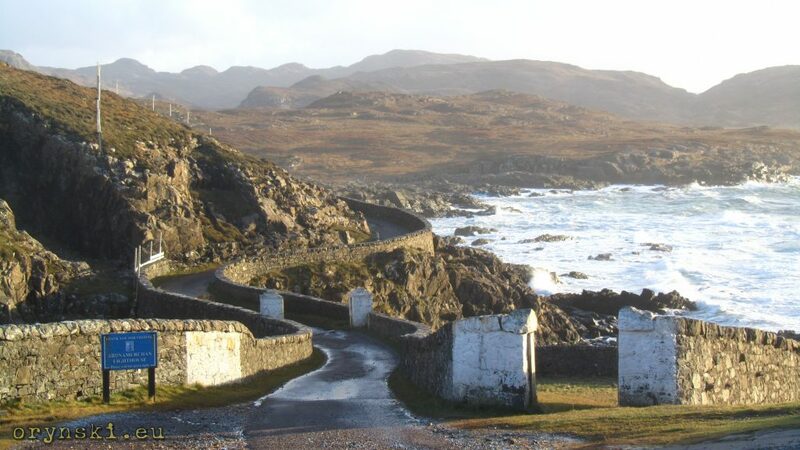 But before embarking on this long drive, let’s turn left just before coming back into Kilchoan. 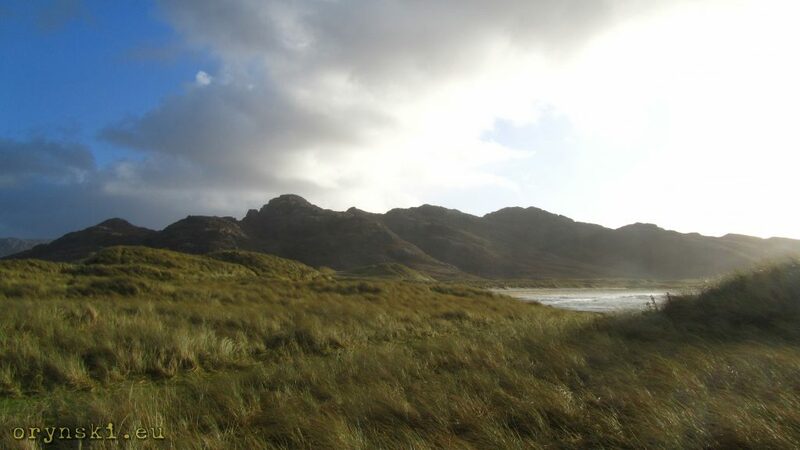 Another narrow road will take us through unusual geological formations – long extinct volcano – to Sanna bay. Here we have one of the most beautiful of a Scottish beaches. 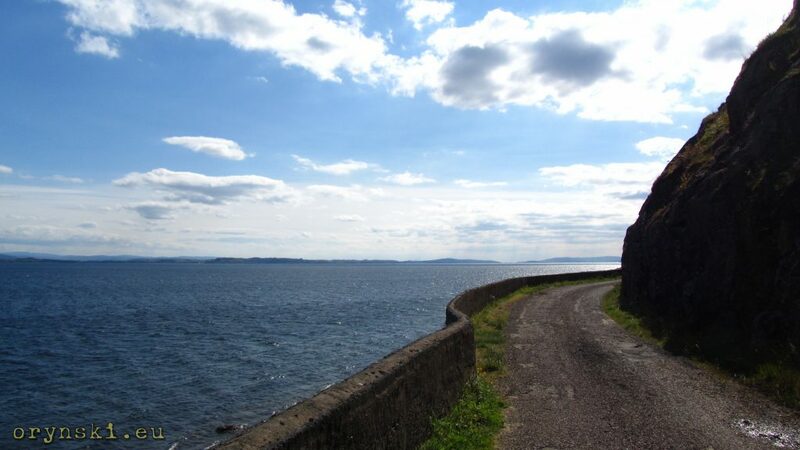 This road will take us to a small settlements, consisting of a couple of farms and a few houses encircling the bay. In the middle there is a small car park with an iconic red phone box. One can think that this is the end of the world, but even here a huge mural on the barn wall, calling for resistance against Britain participating in US wars will remind us about the reality. To get to the beach from here, we have to cross a belt of big dunes covered with grass, but just after short stroll we can get down to water. Here the sandy beaches are interrupted by a the rocky patches cutting deep into the ocean. 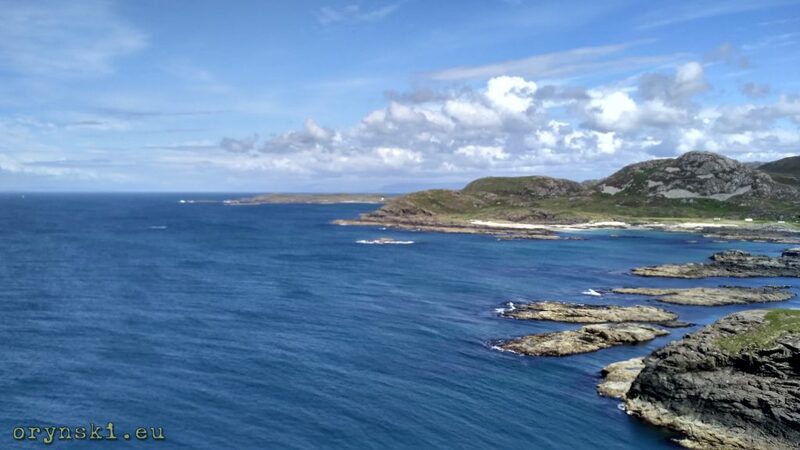 Small isles are visible from here as well, and those brave enough to jump over wet rocks can even enjoy the view on the Ardnamurchan Point. When we finally get back to Salen, after beating over 20 miles of single track, it’s time to turn left to continue on the loop that we left in this point before. Soon after we’ll find ourselves amongst scattered buildings of Arachale located in place where Loch Shiel narrows down to a small river that will soon escape into the sea. There are two roads branching to the left. First one, passing the sandy Kentra Bay from the north will take us to a small settlement of Ardtoe. 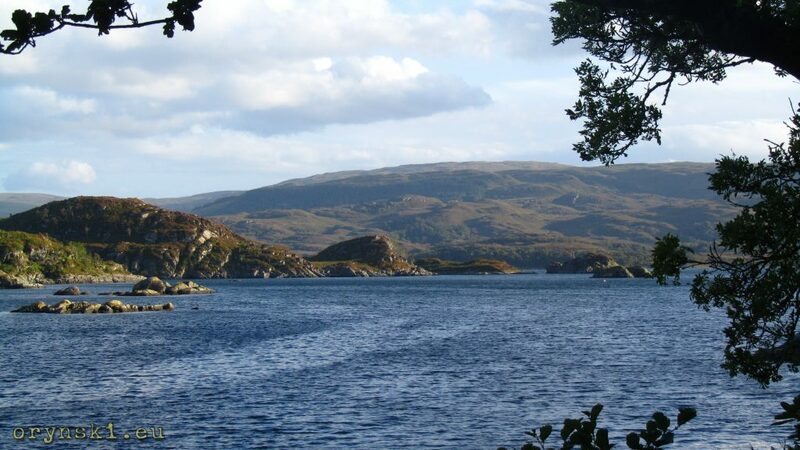 The more northern one – to a beatiful castle Tioram, located on the small tidal island. 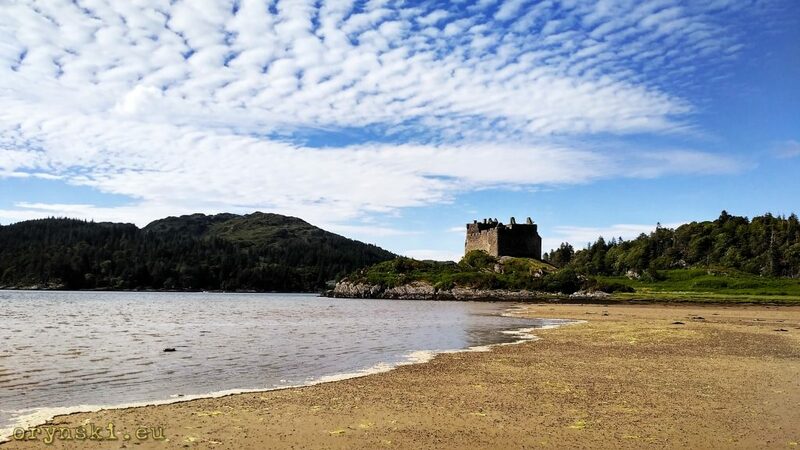 Although the castle itself is a ruin not available to tourist for safety reasons, its location in a secluded bay surrounded by a golden sandy beach makes it one of the most beautiful places in Scotland. This place, that in the past was propably full of life, today is perfectly quiet – the surrounding hills even shelter it from the winds. The local microclimate helps the lush flora to grow. After returning to main road once again, for some time we’ll go east, having Loch Shiel at some distance to our right. 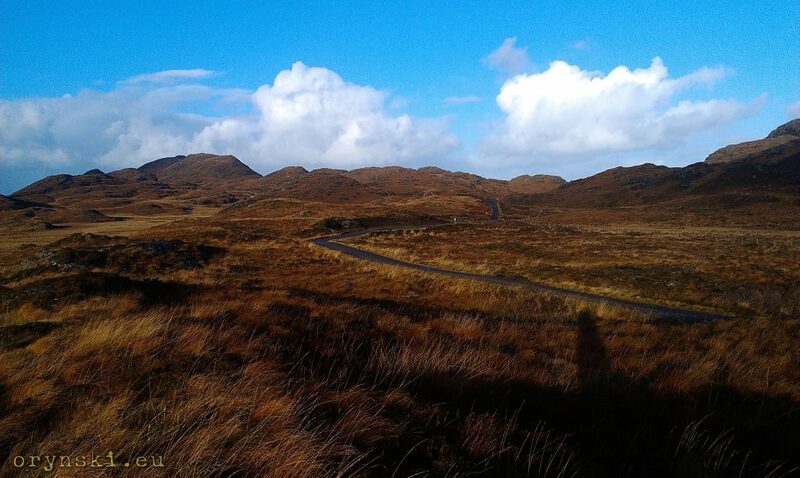 Soon the road will turn north and then back West – this time leading along the banks of Loch Moidart. But that views will also not last long, as the road will turn inland again to cut north to yet another body of water – this time it will be Loch Ainort. Here we are going to face another choice: either we turn left to visit the busy ferry port of Malaig and the famous Silver Sands of Morar, where the movie “Local hero” was shot, or we can go right to return to A82 in Fort William, from where we can go further north or get back to Glasgow. If you choose the latter, don’t forget to stop in Glenfinnan. Here, apart from a cute train station, where there is a hostel and a restaurant located in heritage train cars, and an interesting church on the hill, we can visit a National Trust of Scotland visitor centre. 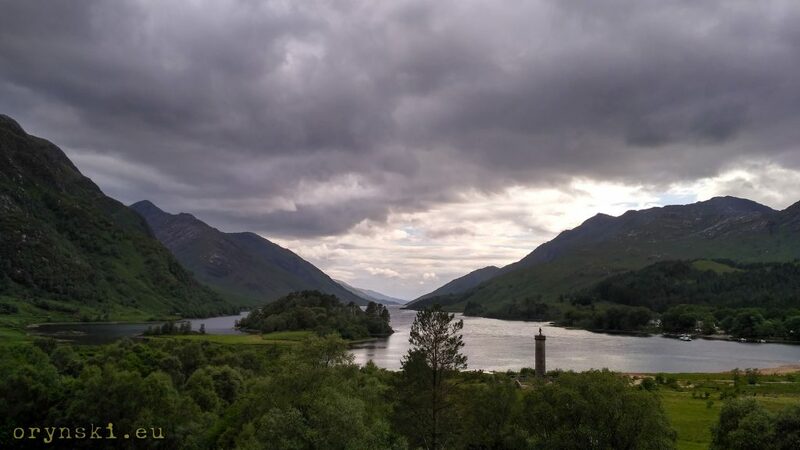 Glenfinnan is a location where Charles Eduard Stuart, the leader of the second Jacobite uprising, has landed. It is worth to point out the Polish connection: Bonnie Prince Charlie, as he was called, was a direct great-grandson of a Polish king Jan III Sobieski. The place of his landing is commemorised with the famous monument, best viewed from the viewing point located on the hill behind the visitor centre. But this place is popular for other reasons as well. On the opposite side from the viewpoint there is famous Glenfinnan Viaduct, which was crossed by a train to Hoghwarth in Harry Potter movies. Luckily, if the swarms of excited teenagers is not exactly your favourite company, you can go for a walk along the path that starts across the street from visitor centre. A chain of wooden bridges and platforms will take you over swamps and backwaters of the river Callop escaping here to Loch Shiel. 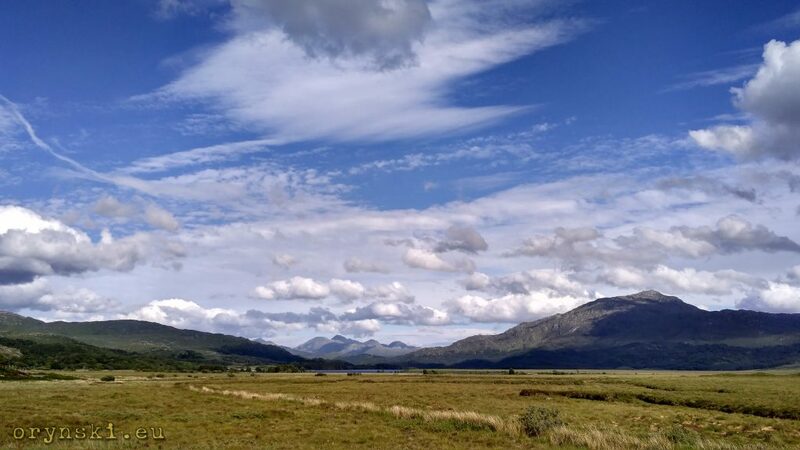 To enjoy at least the minimum of Lochaber treats described above, you need to plan your visit to be at least two days long. But it is worth to combine that loop with a visit to isle of Mull (you could cross to it from Lochaline, drive clockwise around it and then go back to Kilchoan from Tobermory). Such trip would be a good plan for a week long holidays.